Forced air and hot water heat pumps for homeowners who recognize the importance of indoor air quality and the affordability that central comfort systems can provide. Our fully integrated heating and cooling systems provide “Comfort by Design” standards and follow national CSA F280 building code standards. We are dedicated to teaching our potential customers all the benefits of a properly sized and installed comfort system so they can enjoy and benefit from the advantages of living in one of the best climates in the world. We provide conversions to natural gas furnaces or boilers, air source and ground source heat pump systems, electric Time of Use boilers as well as Ductless Heat pumps and other central air conditioning systems. Halifax Heating Residential can accurately calculate the heating and cooling requirements of your new or existing home on a room-by- room basis to ensure maximum home comfort. This product has been designated as one of the Most Efficient ENERGY STAR qualified products in 2012. Products that are recognized as the Most Efficient of ENERGY STAR in 2012 prevent greenhouse gas emissions by meeting rigorous energy efficiency performance levels set by the U.S. Environmental Protection Agency. SilentComfort™ technology delivers sounds levels as low as 58db, providing the ultimate in quiet, consistent cooling. Adjustable fan speed, heat and airflow capacity in increments as small as 1% for the ultimate in temperature control. Check out these links to find out the latest information on Lennox home comfort systems. Click here for a free estimate on this product along with a no obligation home assessment. 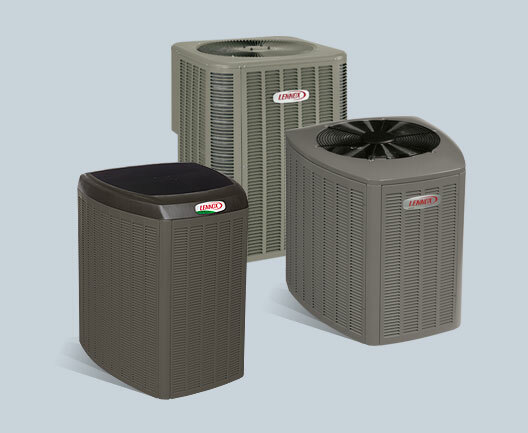 Over 40 years of experience providing quality service and installation of heat pumps in the Halifax area. Our goal is to improve your comfort!